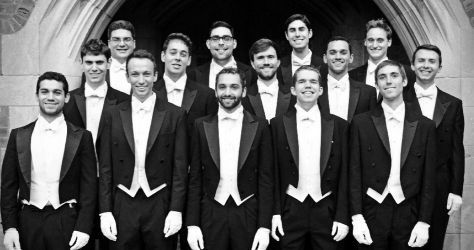 Every year, 14 senior Yale men are selected to be in the Whiffenpoofs, the world’s oldest and best-known collegiate a cappella group. Founded in 1909, the "Whiffs" began as a senior quartet that met for weekly concerts at Mory’s Temple Bar, the famous Yale tavern. Today, the group has become one of Yale’s most celebrated traditions..